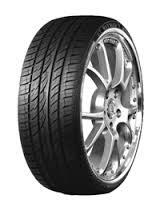 The Fortis T5 is a high performance tyre that lets you get the most out of every journey. With great levels of traction, stability and responsiveness in all conditions and environments, you can really get the most out of your car and this is exactly what you want and need from tyres fitted to a sports car or high performing model. With a high resistance to wear, Fortis T5 tyres from Maxtrek won’t let you down and will ensure you benefit from great reliability, durability and longevity at all times, so don’t miss out.